Get 40% off women's clothing and men's clothing at Express. Shipping is free for orders over $50. Otherwise, it adds $8. 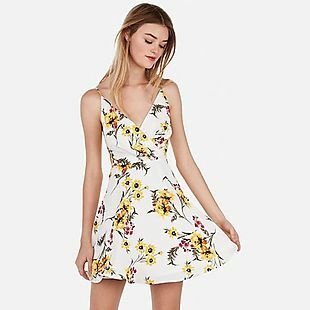 This sale includes this Floral-Print Cami Dress, which normally sells for $59.90, but drops to $35.94 during this sale. It also includes this Cotton-Blend Performance Stretch Suit Vest, which normally sells for $79.90, but drops to $47.94. These items are only available from Express. Sales tax is charged in most states. 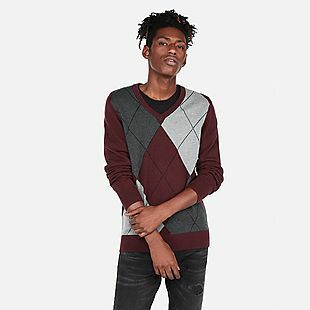 This men's V-Neck Argyle Sweater, originally $69.90, drops from $40.99 to $24.59 automatically when you add it to your cart at Express.com. 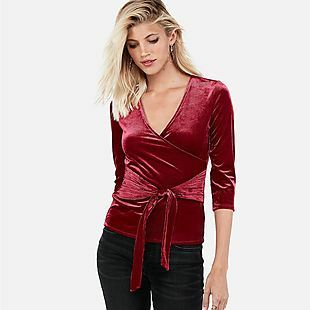 Even with $8 shipping (or free shipping on orders over $50), this is the lowest price we could find for this cotton sweater. Choose from three colors. Sales tax is charged in most states. 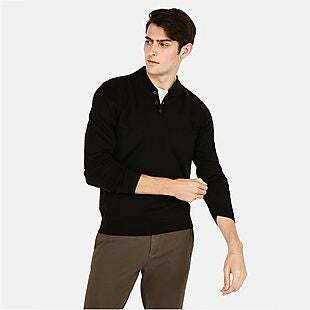 This men's Mock-Neck Baseball Henley Sweater in several colors, originally $59.90, drops from $30.99 to $18.59 automatically when you add it to your cart at Express.com. Even with $8 shipping (or free shipping on orders over $50), this is the lowest price we could find. Sizes XS-XXL are available in at least one color. Sales tax is charged in most states. Some of the best deals at Express are the frequent buy-1-get-1 offers on jeans and tops. Clearance racks also often are subject to additional discounts. The best sale of the year, though, is Black Friday, when Express has taken 50% off everything storewide in recent years - a trend we expect to see continue. 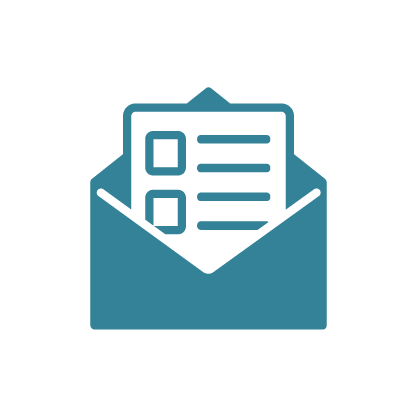 Check back often for Express coupons, updated regularly. 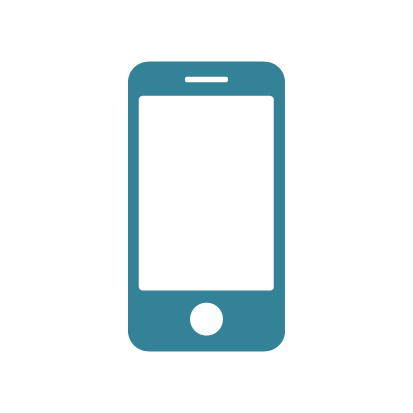 Standard shipping is a flat $8, or free for orders totaling $125 or more. Save big this Black Friday by finding some of the best Express deals of the year in the Express Black Friday Ad.